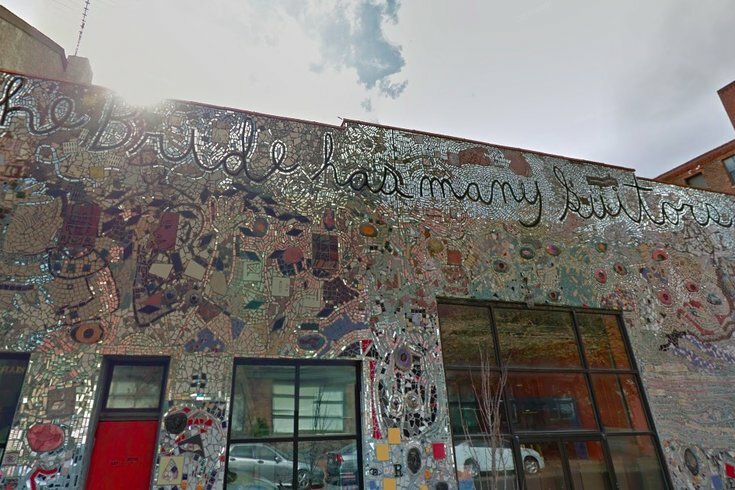 The Painted Bride Art Center in Old City is housed in a mosaic-adorned building – the work of Magical Gardens’ artist Isaiah Zagar – and hosts an array of creative events (plus its fair share of wedding and event rentals) in the unique space. Despite the center's role in leading the alternative art space movement, the Painted Bride has announced plans to sell its building and, hopefully, better financially sustain creative projects with the proceeds. In a statement posted online, Painted Bride Executive Director Laurel Raczka broke the news of the impending sale and how it lines up with the center’s next phase. “We are imagining a future that gives us the financial and creative capacity to continue our important work,” Raczka said in her statement. The Painted Bride moved into 230 Vine St. in 1982 after working out of a small space on South Street beginning in 1969. The Old City venue features a 200-seat theater to show off performances from emerging artists. The Painted Bride will continue its 2017-18 season, which ends in June, but has canceled private event reservations, including weddings, scheduled for after that period. With the building for sale, what is left of the Painted Bride as an organization? “The planning process for the next phase will include assembling an advisory team of artists and core supporters to work closely with our leadership to imagine a new, responsive art-making model for the future,” Raczka said.